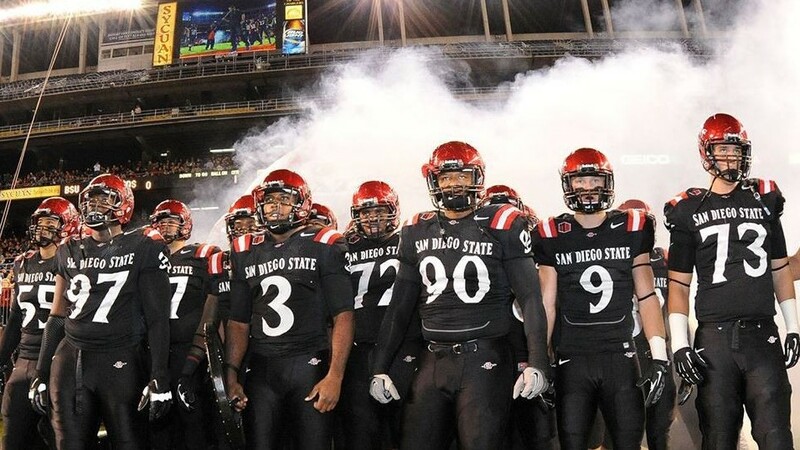 The San Diego State football team will host its Spring Fan Day on Saturday at the football practice fields. The event features an autograph session with players, photo ops with the SDSU cheer and dance team and interactive football drills with coaches and players. The San Diego State marching band will also make an appearance. Season ticket holders who bought their tickets before Feb. 7 will receive free water bottles. For the little ones, there will be yard and inflatable games for them to enjoy. The bookstore will also have a 50 percent sale on all 2017 Aztec football gear, including Nike products. The event starts at 4:30 p.m. and is free to attend. Fans are encouraged to arrive before 4 p.m.